The MAF RODA Group devotes an average of 3% of its annual turnover to technological innovation. 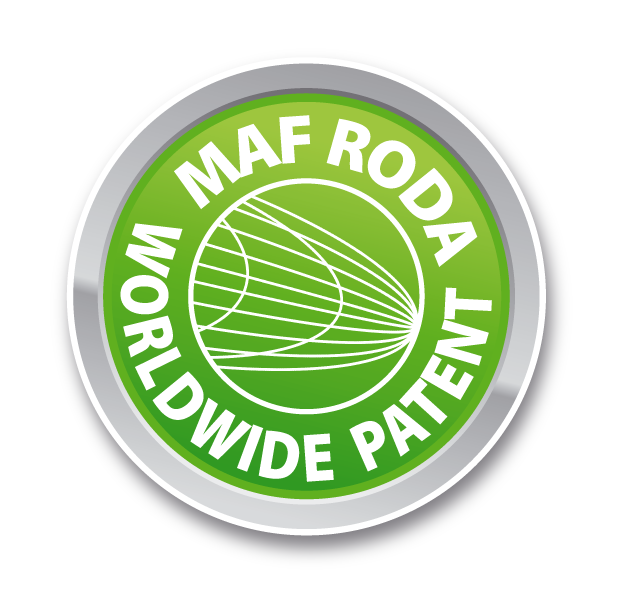 These continuous investment efforts in research have led MAF RODA to possess numerous patents linked to major technological developments enabling it to offer its customers the most cutting-edge tools, to best meet the requirements of their markets. Our prototypes and systems are developed and tested in our workshops and placed in real-life situations, in particular at the fruit-growing station of the MAF RODA Group, at Domaine de la Moutounade. The innovative and sometimes avant-garde spirit of MAF RODA is regularly recompensed by professional awards and prizes. These awards represent solid recognition of our accomplishments, and drive us on to cross other important thresholds. The following list presents some of the awards that MAF RODA has received.